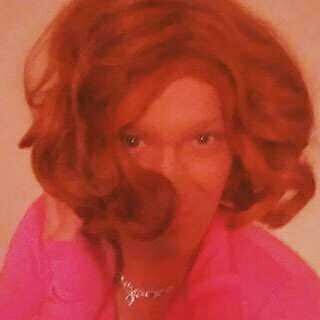 Daily Sissy Photo: Mindy - I see you! What a fantastic close up shot of Miss Mindy. I think that she looks fun and very playful. She's most definitely smiling behind that handful of red hair.